The International Union for Conservation of Nature's authoritative Red List of Threatened Species shows that nearly one-third of the frog species in the world are threatened. 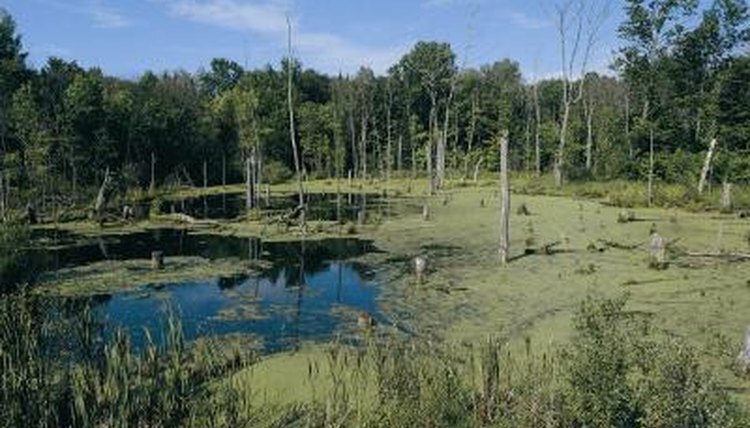 According to AmphibiaWeb, a few of the causes for this decline include habitat destruction, introduced species, diseases and an increase in the amount of UVB penetrating the atmosphere. To combat this and protect the future of native frogs, some states grant legal protection to particularly vulnerable species. In 1972, the state of Illinois adopted the Illinois Endangered Species Protection Act to prevent the extinction of the state’s native flora and fauna. The responsibility for maintaining the list of protected species falls to the Illinois Endangered Species Board, made up of nine qualified people. The board updates the list in five-year increments; in 2011, the board listed three frog species as threatened. Because of this classification, it is illegal to possess, buy, sell or harm Eastern narrow-mouth toads (Gastrophryne carolinensis), bird-voiced tree frogs (Hyla avivoca) or Illinois chorus frogs (Pseudacris illinoensis) without the approval of the Illinois Department of Natural Resources. Narrow-mouthed toads inhabit much of North America and are members of one of the largest frog families, Microhylidae. Narrow-mouthed toads use their small mouths to consume large quantities of small insects. Scientists have observed these frogs sitting at the entrances of anthills, patiently consuming ants as they emerge. An unusual feature of these strange frogs is their cranial skin flap, located just behind the eyes. The frogs have conscious control over this skin flap, and they can fold the flap forward to remove insects attacking their eyes. Bird-voiced tree frogs prefer living on trees growing directly from swamps and marshes. which humans frequently destroy in the name of progress; these frogs require protection to ensure their survival. "Bird-voiced" comes from their whistling, birdlike mating call. These nocturnal frogs breed late in the season, typically after June, descending from the trees only for breeding purposes. Bird-voiced tree frogs prey on insects and spiders they find climbing on the trees. Scientists do not agree on the classification of the Illinois chorus frog. While most researchers agree it has a close relationship with Strecker’s chorus frog (Pseudacris streckeri), DNA evidence suggests it is a separate species, while morphological evidence hints that it is actually a subspecies -- or geographic variant -- of Strecker’s chorus frog. This unusual frog digs with his front legs rather than his back legs as most burrowing species do. This allows them to capture any insects they encounter while digging. These frogs are rarely seen because they spend so much time underground. Chorus frogs are most commonly seen during the breeding season when the males are calling to attract females. AmphibiaWeb: Worldwide Amphibian Declines: How Big Is the Problem, What Are the Causes and What Can Be Done?